Assist sortation and verification processes with automated barcode readers that can communicate with warehouse management systems for high-speed code scanning and integration with sortation and conveyor systems. Since Baldor motors are used as original equipment in many conveyor systems, it only makes sense to replace a blown motor with a genuine Baldor model. 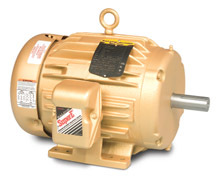 Choose from standard motors and brake motors in single and three phase, from 1/2 hp to 2 hp. Over 2,500 Hytrol Conveyor parts are available - bushings, rollers, bolts, bearings, o-rings and more.